Tap yourself on the back for being a savvy car shopper! You have just found some of our best deals on new and used vehicles in the Seattle area. Hurry these deals don't last long, so click the vehicle you are interested in and start saving today. Not quite what you are looking for? Our manager’s specials are changing all of the time so be sure to check back with us here frequently! 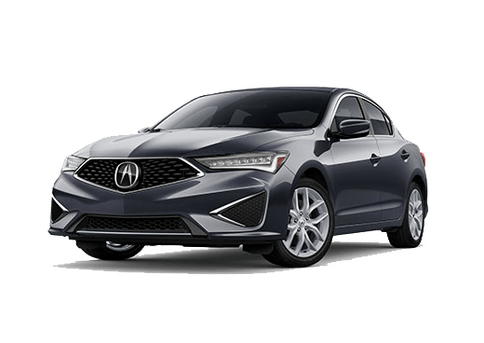 2019 Acura ILX PREMIUM A-SPEC Stock number(s): 193025/19UDE2F89KA003005 36 Monthly Lease Payments of $259 excluding tax, title, license, and dealer-installed accessories, with option to purchase at the end of term for $17493.50. $3499 due at signing and delivery. Includes $595 acquisition fee. Capitalized cost of $23844.61. NO security deposit is required. This transaction is subject to Acura Financial Services final approval of credit. This lease is based upon 7500 miles per year. Customer may purchase additional accessories at the time of purchase or lease; some of those may or may not be able to be residualized. A dealer documentary service fee of up to $150 may be added to the sale price or capitalized cost. VIN of this vehicle 19UDE2F89KA003005, one only. See dealer for further details. Photo for illustration purposes only. Offer expires 4/30/19. 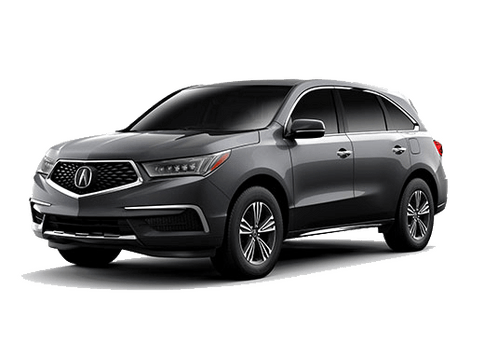 2019 Acura MDX SH-AWDStock number(s): 196171/5J8YD4H37KL01812436 Monthly Lease Payments of $379 excluding tax, title, license, and dealer-installed accessories, withoption to purchase at the end of term for $27904.05. $3999 due at signing and delivery. Includes $595acquisition fee. Capitalized cost of $36883.40. NO security deposit is required. This transaction is subjectto Acura Financial Services final approval of credit. This lease is based upon 7500 miles per year.Customer may purchase additional accessories at the time of purchase or lease; some of those may ormay not be able to be residualized. A dealer documentary service fee of up to $150 may be added to thesale price or capitalized cost. VIN of this vehicle 5J8YD4H37KL018124, one only. See dealer for furtherdetails. Photo for illustration purposes only. Offer expires 4/30/19. 2019 Acura MDX SH-AWD TECHStock number(s): 196168/5J8YD4H51KL02286536 Monthly Lease Payments of $399 excluding tax, title, license, and dealer-installed accessories, withoption to purchase at the end of term for $29808.15. $4999 due at signing and delivery. Includes $595acquisition fee. Capitalized cost of $39203.41. NO security deposit is required. This transaction is subjectto Acura Financial Services final approval of credit. This lease is based upon 7500 miles per year.Customer may purchase additional accessories at the time of purchase or lease; some of those may ormay not be able to be residualized. A dealer documentary service fee of up to $150 may be added to thesale price or capitalized cost. VIN of this vehicle 5J8YD4H51KL022865, one only. See dealer for furtherdetails. Photo for illustration purposes only. Offer expires 4/30/19. 2019 Acura MDX SH-AWD TECH A-SPECStock number(s): 196090/5J8YD4H09KL01378636 Monthly Lease Payments of $459 excluding tax, title, license, and dealer-installed accessories, withoption to purchase at the end of term for $31803.15. $4999 due at signing and delivery. Includes $595acquisition fee. Capitalized cost of $42945.11. NO security deposit is required. This transaction is subjectto Acura Financial Services final approval of credit. This lease is based upon 7500 miles per year.Customer may purchase additional accessories at the time of purchase or lease; some of those may ormay not be able to be residualized. A dealer documentary service fee of up to $150 may be added to thesale price or capitalized cost. VIN of this vehicle 5J8YD4H09KL013786, one only. See dealer for furtherdetails. Photo for illustration purposes only. Offer expires 4/30/19. 2019 Acura MDX SH-AWD ADVANCEStock number(s): 196078/5J8YD4H85KL01202636 Monthly Lease Payments of $479 excluding tax, title, license, and dealer-installed accessories, withoption to purchase at the end of term for $33655.65. $4999 due at signing and delivery. Includes $595acquisition fee. Capitalized cost of $45220.60. NO security deposit is required. This transaction is subjectto Acura Financial Services final approval of credit. This lease is based upon 7500 miles per year.Customer may purchase additional accessories at the time of purchase or lease; some of those may ormay not be able to be residualized. A dealer documentary service fee of up to $150 may be added to thesale price or capitalized cost. VIN of this vehicle 5J8YD4H85KL012026, one only. See dealer for furtherdetails. Photo for illustration purposes only. Offer expires 4/30/19. 2019 Acura RDX AWD Stock number(s): 199323/5J8TC2H34KL036534 36 Monthly Lease Payments of $379 excluding tax, title, license, and dealer-installed accessories, with option to purchase at the end of term for $24884.95. $3499 due at signing and delivery. Includes $595 acquisition fee. Capitalized cost of $34269.72. NO security deposit is required. This transaction is subject to Acura Financial Services final approval of credit. This lease is based upon 7500 miles per year. Customer may purchase additional accessories at the time of purchase or lease; some of those may or may not be able to be residualized. A dealer documentary service fee of up to $150 may be added to the sale price or capitalized cost. VIN of this vehicle 5J8TC2H34KL036534, one only. See dealer for further details. Photo for illustration purposes only. Offer expires 4/30/19. 2019 Acura RDX AWD TECH Stock number(s): 199295/5J8TC2H59KL032576 36 Monthly Lease Payments of $459 excluding tax, title, license, and dealer-installed accessories, with option to purchase at the end of term for $25721.05. $3699 due at signing and delivery. Includes $595 acquisition fee. Capitalized cost of $37680.31. NO security deposit is required. This transaction is subject to Acura Financial Services final approval of credit. This lease is based upon 7500 miles per year. Customer may purchase additional accessories at the time of purchase or lease; some of those may or may not be able to be residualized. A dealer documentary service fee of up to $150 may be added to the sale price or capitalized cost. VIN of this vehicle 5J8TC2H59KL032576, one only. See dealer for further details. Photo for illustration purposes only. Offer expires 4/30/19. 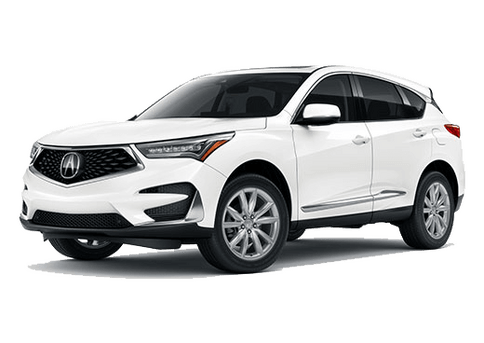 2019 Acura RDX AWD A-SPEC Stock number(s): 199197/5J8TC2H67KL023254 36 Monthly Lease Payments of $469 excluding tax, title, license, and dealer-installed accessories, with option to purchase at the end of term for $27432.05. $3999 due at signing and delivery. Includes $595 acquisition fee. Capitalized cost of $39497.21. NO security deposit is required. This transaction is subject to Acura Financial Services final approval of credit. This lease is based upon 7500 miles per year. Customer may purchase additional accessories at the time of purchase or lease; some of those may or may not be able to be residualized. A dealer documentary service fee of up to $150 may be added to the sale price or capitalized cost. VIN of this vehicle 5J8TC2H67KL023254, one only. See dealer for further details. Photo for illustration purposes only. Offer expires 4/30/19. 2019 Acura RDX AWD ADVANCE Stock number(s): 199203/5J8TC2H72KL024126 36 Monthly Lease Payments of $499 excluding tax, title, license, and dealer-installed accessories, with option to purchase at the end of term for $28553.05. $3999 due at signing and delivery. Includes $595 acquisition fee. Capitalized cost of $41475.00. NO security deposit is required. This transaction is subject to Acura Financial Services final approval of credit. This lease is based upon 7500 miles per year. Customer may purchase additional accessories at the time of purchase or lease; some of those may or may not be able to be residualized. A dealer documentary service fee of up to $150 may be added to the sale price or capitalized cost. VIN of this vehicle 5J8TC2H72KL024126, one only. See dealer for further details. Photo for illustration purposes only. Offer expires 4/30/19. 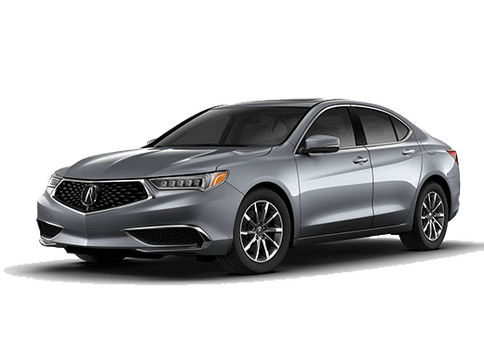 2019 Acura TLX 4CYL BASE Stock number(s): 195131/19UUB1F31KA010019 36 Monthly Lease Payments of $259 excluding tax, title, license, and dealer-installed accessories, with option to purchase at the end of term for $17677.40. $3499 due at signing and delivery. Includes $595 acquisition fee. Capitalized cost of $24000.52. NO security deposit is required. This transaction is subject to Acura Financial Services final approval of credit. This lease is based upon 7500 miles per year. Customer may purchase additional accessories at the time of purchase or lease; some of those may or may not be able to be residualized. A dealer documentary service fee of up to $150 may be added to the sale price or capitalized cost. VIN of this vehicle 19UUB1F31KA010019, one only. See dealer for further details. Photo for illustration purposes only. Offer expires 4/30/19. 2019 Acura TLX 4CYL A-SPEC RED LEATHER Stock number(s): 195095/19UUB1F61KA006157 36 Monthly Lease Payments of $359 excluding tax, title, license, and dealer-installed accessories, with option to purchase at the end of term for $21005.40. $3499 due at signing and delivery. Includes $595 acquisition fee. Capitalized cost of $30239.81. NO security deposit is required. This transaction is subject to Acura Financial Services final approval of credit. This lease is based upon 7500 miles per year. Customer may purchase additional accessories at the time of purchase or lease; some of those may or may not be able to be residualized. A dealer documentary service fee of up to $150 may be added to the sale price or capitalized cost. VIN of this vehicle 19UUB1F61KA006157, one only. See dealer for further details. Photo for illustration purposes only. Offer expires 4/30/19. 2019 Acura TLX V6 A-SPEC Stock number(s): 195034/19UUB2F65KA001971 36 Monthly Lease Payments of $399 excluding tax, title, license, and dealer-installed accessories, with option to purchase at the end of term for $22773.40. $3499 due at signing and delivery. Includes $595 acquisition fee. Capitalized cost of $33113.76. NO security deposit is required. This transaction is subject to Acura Financial Services final approval of credit. This lease is based upon 7500 miles per year. Customer may purchase additional accessories at the time of purchase or lease; some of those may or may not be able to be residualized. A dealer documentary service fee of up to $150 may be added to the sale price or capitalized cost. VIN of this vehicle 19UUB2F65KA001971, one only. See dealer for further details. Photo for illustration purposes only. Offer expires 4/30/19.